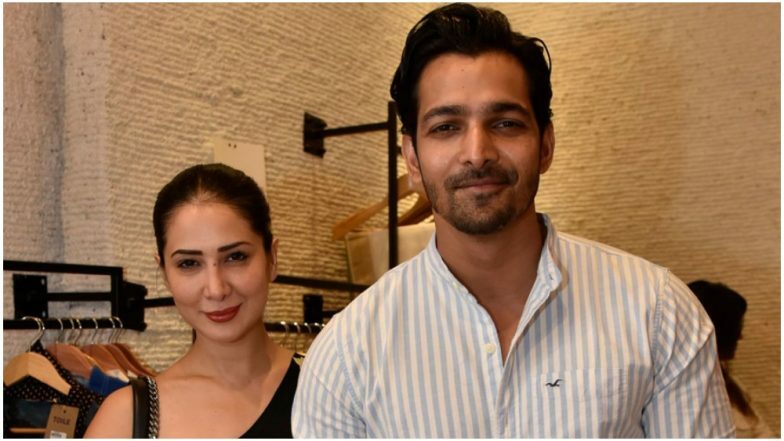 Paltan actor Harshvardhan Rane made headlines when he started dating Mohabbatein actress, Kim Sharma. Their frequent spotting, bike rides and even holidays together were discussed in detail until they decided to stop all of it. Okay, wait. Have they stopped roaming in public or flaunting their PDA on social media or simply called in quits? Yea, while all might be well in their paradise, we can't stop getting worried about the fact that they don't follow each other on Instagram. This Pic of Kim Sharma and Harshvardhan Rane Is Embarrassingly AWKWARD. As weird and shocking as it may sound by Harsh and Kim do NOT follow each other on social media and if this doesn't make you think then we don't know what will. While Kim has a good number of accounts that she follows, Harshvardhan barely has five and she's not among them. If you compare their episode with that of Harleen Sethi and Vicky Kaushal - not following each other on Instagram does hint at their breakup, right? We hope and pray that it's not the case and the couple is still very much together. Kim Sharma and Harshvardhan Rane Know How to Kiss And Tell! - See Pic Inside. However, the fact that we no longer get their pictures together also makes us curious to think about their relationship. They started dating after she relocated from Kenya post her divorce with Ali Punjani. When everything was hunky dory in their affair, we are clueless about things that went wrong. Or it could be a classic case of reading too much between the lines and there were never following each other on Insta in the first place. Hopefully, they'll decide to answer our queries pretty soon.